Shooting Batting Practice with the Phantom Miro w/ 600mm Canon Lens. 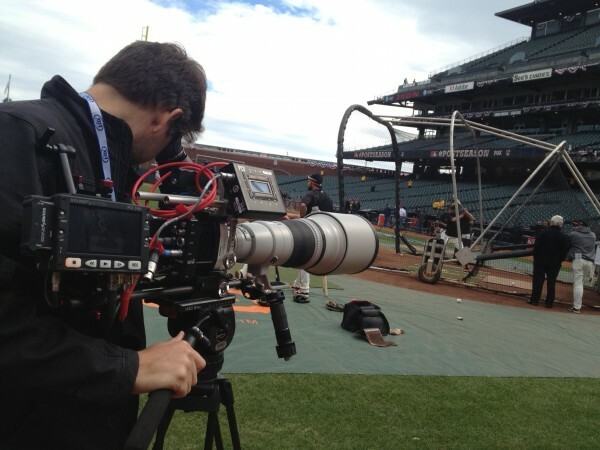 There’s been a lot of attention given to this year’s World Series and the Ultra High Speed Phantom Camera technology that’s being used during the broadcast, and Atlanta Director of Photography Tom Wells is there capturing some of it for FOX Sports. 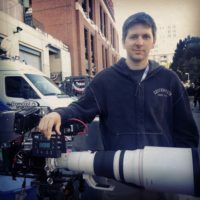 While the live broadcast is using 7 different Phantom Cameras, dubbed the X-Mo, Tom has been using the newest version of Vision Research’s Phantom Camera – the Phantom Miro. What makes the Phantom Miro stand out from previous versions of the Phantom Camera is it’s portability and size. While most Phantom cameras are fairly large and generally require tethering to a computer to offload the footage, the Miro is incredibly small, weighing in at only 3 pounds. It’s also incredibly portable, which allows the camera to get some shots that just weren’t practical before – or even possible. Of course, the portability and size of the camera can be dramatically affected by how you decide to rig the camera. The footage that Tom has been capturing for FOX Sports is used mostly for promos and feature segments, so it needs to have a different look to it than the traditional broadcast footage… that means getting the camera into tight spots sometimes, and sometimes it means getting that super-tight shot of faces, bats swinging or just hands sliding across home plate from far away. Due to the need for this diversity Tom chose the EOS Mount for the Miro, which allows Canon DSLR lenses to be used on the rig. Canon has a wide range of DSLR glass, from a very small 14mm prime to a very large and intimidating looking 600mm prime. This choice of lenses allows for extreme flexibility from day to day, whether it’s running through crowds of cheering fans or shooting tight shots of players on the field. We’ll be sure to post up some of Tom’s shots from the Phantom Miro as soon as they become available. In the meantime stay tuned to FOX Sport’s continuing coverage of the World Series to see the Miro and all the other Phantom cameras in action! Shooting elements for the World Series Rollout with the Phantom Miro, rigged with a Canon 85mm Prime. DP Tom Wells and the Phantom Miro with a Canon 600mm lens.